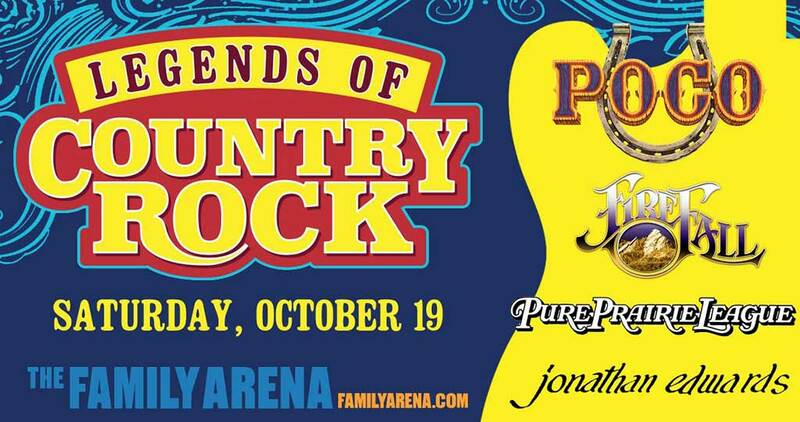 It’s a night of classics as The Family Arena presents The Legends of Country Rock. Don’t miss an unforgettable experience as Poco, Firefall, Pure Prairie Leauge and Jonathan Edwards take the stage to perform their iconic hits. Parking is not included, and will be $10 (regular) or $20 (VIP) upon arrial.